We would like to start out by saying we had huge ambitions and good intentions when we came up with the plan to send out daily email specials to our customers. 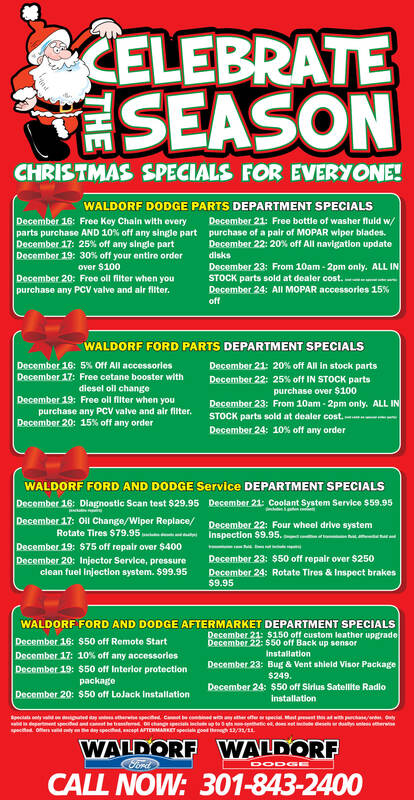 We wanted to bring you some great deals on service, parts and aftermarket. What we didn’t realize is the effect it would have on our email servers, our staff and most importantly you our customers. Though it was a fun thought – get an email with a special every day through Christmas – we realized that it might be a little bit too much. So, we decided to compile all of the specials into one email and send it out today. They are the same great specials, you just are getting them all at once. To take advantage of the specials, print out this email and bring it with you. We suggest calling in advance to schedule for any service or aftermarket specials. Thanks for your patience and we hope to see you soon!